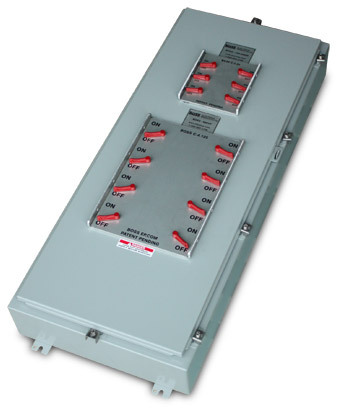 This model of the BOSS Electrical Panel is rated up to 600V. So for all of your power management needs, in 480V or 600V, this is the panel for you. And with standard sizes ranging between 18 to 48 circuits (6-16 switches), and a host of options for panel or extension box mounted receptacles, this panel can be customized to suit almost any application. Talk to a sales representative about your specific needs and we will build you a BOSS Electrical Panel to meet them.